Our range of products include steam engine turbine. 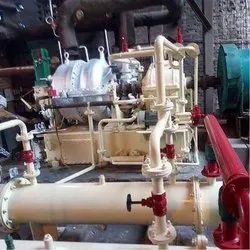 Available with us are Steam Engine Turbine that is ideal for co-generation. Our attractive range is widely used in various industries and is stringently checked at each stage of production ensuring that the best and unblemished range is dispatched to the market.